One of the best things about winter has to be skiing or snowboarding down a picturesque mountain covered in light, fluffy, powdered snow. Is there a better feeling than waking up to a white winter wonderland and then spending the rest of the day zooming down the runs with the brisk air flushing your skin? Perhaps the only thing that can wipe the smile off your face is when you realise your child is a far better skiier than you are – and, when you suffer that inevitable fall, it could be your little one that glides over efforlessly to hand back your stocks and help you brush yourself off. In all seriousness, it’s a gorgeous sight to watch mini skiers and snowboarders in their colourful jackets and helmets cutting up the mountain. Not only do children take to skiing like a duck to water but they seem to love it! Looking for the perfect skiing holiday for you and your fam? New Zealand is our pick – it’s an exciting overseas jaunt but only a few hours’ flight away. New Zealand has a thriving ski industry with plenty of gorgeous hotels, lodges and self-contained apartments at which to stay. But the thing we’re most excited about is the terrific array of children’s programs that the various mountains have on offer. 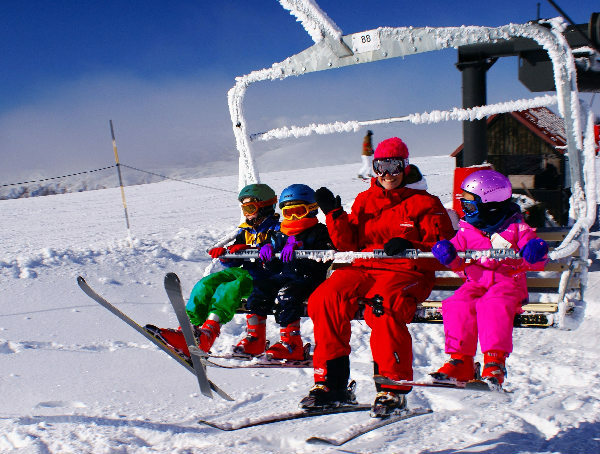 Cardrona is definitely one to take notice of – it’s only an hour’s drive from Queenstown, or half an hour from Wanaka, and it claims to have the best on-mountain children’s facilities in New Zealand. 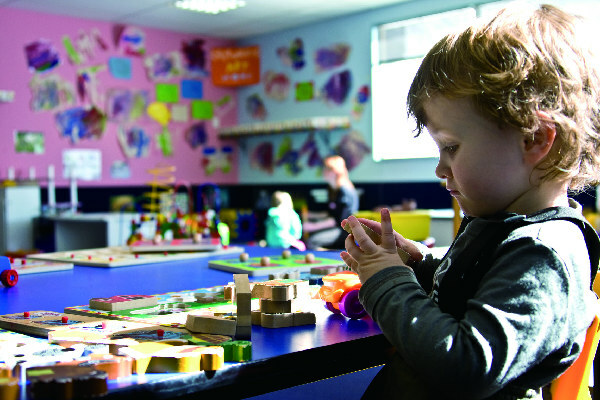 For parents of very young children, there’s the licensed Early Childcare facilities that supervise children from just three months to three years, which is a great opportunity for Mum and Dad to enjoy the slopes knowing that their baby is being taken care of. 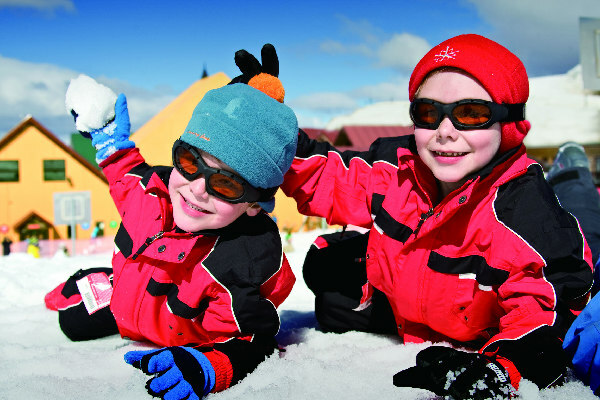 Things get really interesting for your young ones – the kindy provides ski lessons for three to four-year-olds! 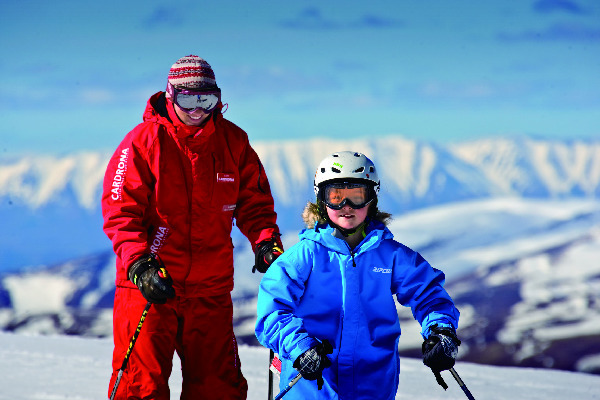 Then from five to fourteen there is the Kids Ski & Snowboard School that offers full-day lessons. And as an added bonus kids five years and under ski for free! The mountain is renowned for having a friendly atmosphere and for catering to all levels of skiers – and the 2010 season is particularly exciting as new lifts have been installed, taking it up to four (the highest number on the South Island), the vertical drop has increased to six hundred metres and the terrain has increased to 345 hectares, making it the largest ski area in the Queenstown region. 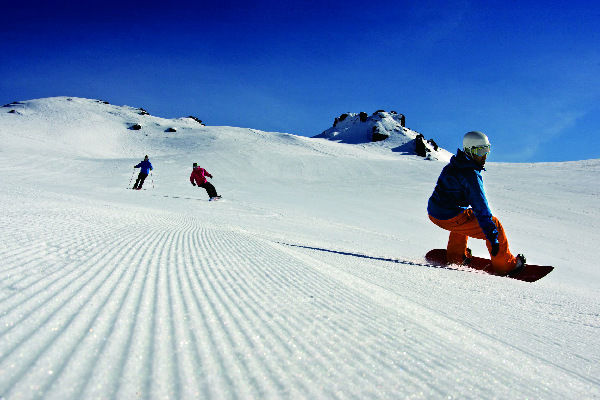 For the 2011 season there will be snowmaking facilities to ensure top to bottom skiing for the whole season. If you’re looking to stay on the mountain, studio, two and three-bedroom apartments are available just one-minute walk from the lifts. Everything else you need is nearby – cafes, restaurants, pubs, storage facilities, a ski shop and medical centre. Alternatively, you can stay in a town that’s close by and catch a shuttle service in and out everyday. 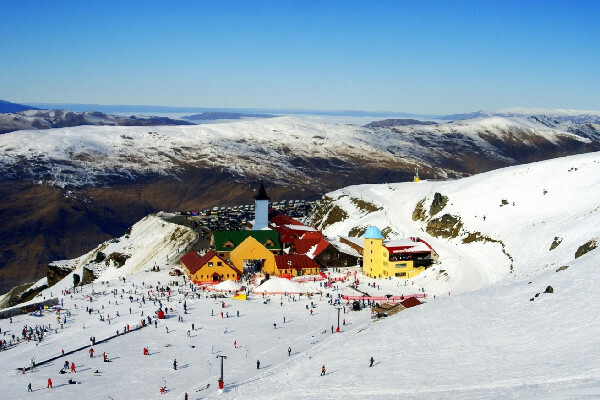 As good as all this sounds, Cardrona isn’t your only option. 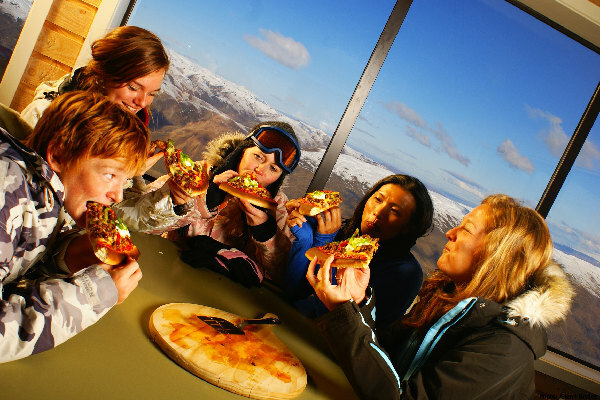 A couple of others to consider are nearby Coronet Peak, which is a mere twenty-minute drive from Queenstown (making it the closest ski resort to any town in New Zealand), The Remarkables and Mt Hutt, ninety minutes from Christchurch. 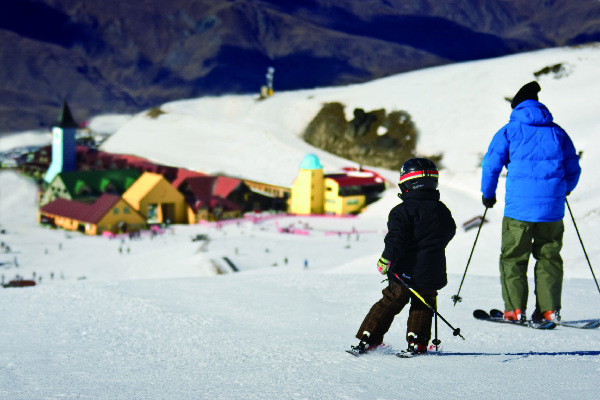 Coronet Peak and The Remarkables both have the Early Childhood facilities, caring for children from three months of age, plus the Kids Snowsports School, while Mt Hutt has facilities caring for children from two years of age as well as the Kids Snowsport School. So, tempted to have a fun, sporty winter break? Better get your skis on!